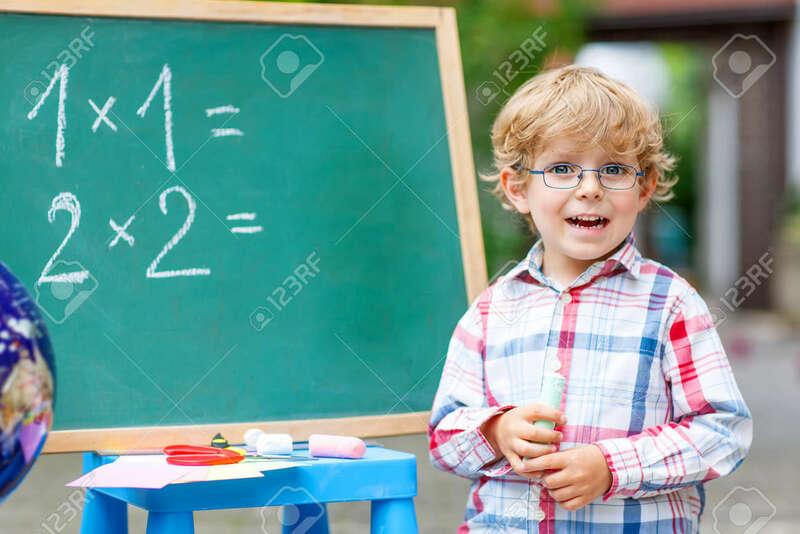 Happy Funny Little Kid Boy With Glasses At Blackboard Practicing Mathematics, Outdoor. School Or Nursery. Back To School Concept Royalty Free Fotografie A Reklamní Fotografie. Image 42657783.